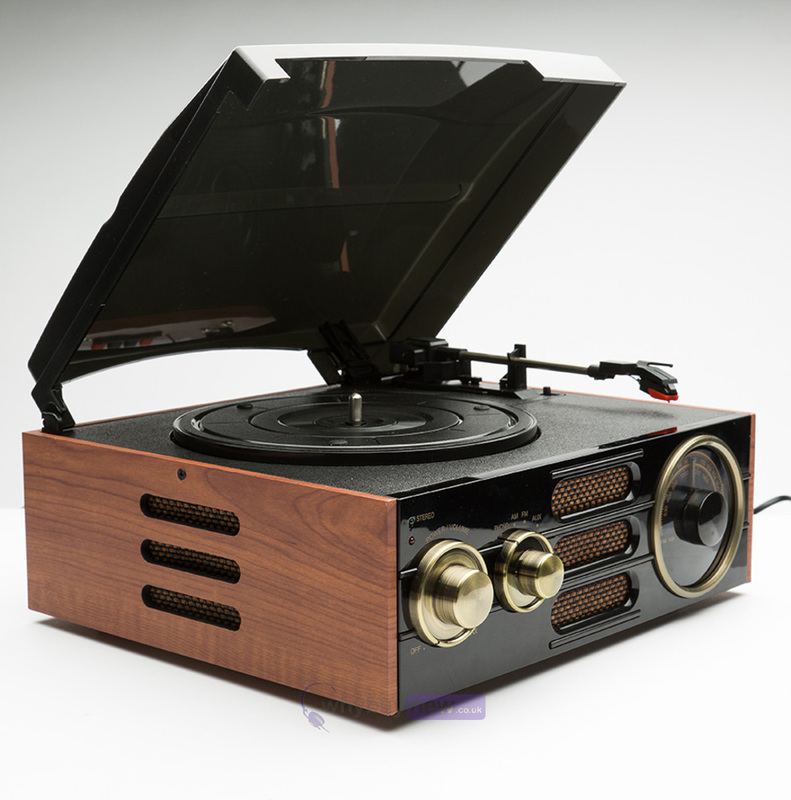 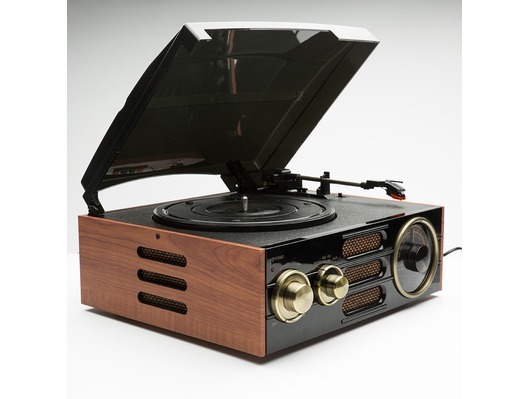 The GPO Empire is a vintage style record player with a wooden and black design complete with brass dials. 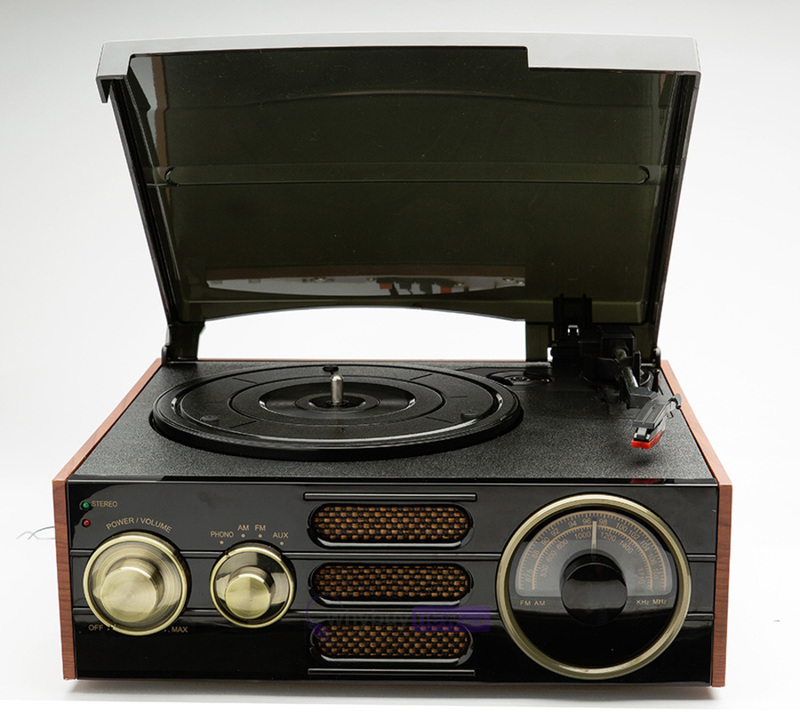 The Empire features a three speed turntable (33/45/78 RPM) and a built in analogue radio. 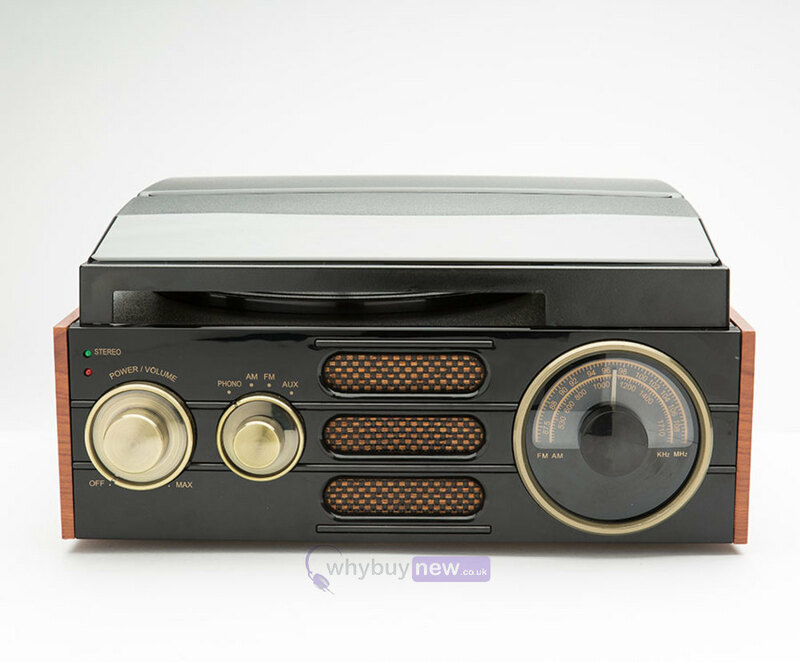 It also features its own built in speakers, a headphone jack for private listening and RCA audio output for connecting to additional stereo speakers.